While there is no shortage of health benefits that come along with exercise, a new study found that it could also help cognitive function. Researchers from the American Academy of Neurology found that thinking skills could improve for people who engage in aerobic exercise, such as climbing stairs, walking, or cycling on a regular basis. The researchers had over 130 participants involved in the study, all of whom did not exercise regularly at the start of the study and were between the ages of 20 and 67. Both prior to and after the study, the participants’ cognitive skills were evaluated and their heart rates were monitored with wearable devices while they exercised. One group focused on stretching and toning exercises, while the other group chose from aerobic exercises that included using an elliptical machine, cycling, or walking on a treadmill. The participants were tested over the course of six months, and the researchers used an ergometer to measure how intensely each participant was working out. At the end of the six months, the participants in the aerobic exercise group improved their scores on the thinking and memory tests by an average of 0.5 points -- an amount that the researchers deemed significant. Additionally, the older participants were found to have better scores on the test than their younger counterparts. “Since a difference of 0.5 standard deviations is equivalent to 20 years of age-related difference in performance on these tests, the people who exercised were testing as if they were about 10 years younger at age 40 and about 20 years younger at age 60,” said Stern. As important as it is to stay physically active, recent studies have shown that exercising gets tossed to the back burner by many consumers -- though that comes with consequences. 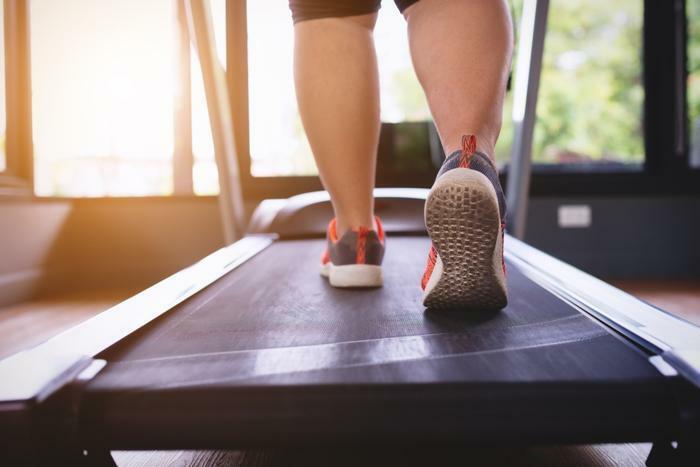 The Centers for Disease Control and Prevention (CDC) reported last summer that only 23 percent of adults across the country are meeting exercise recommendations, while just one in three children are hitting their daily activity targets. This statistic is particularly troublesome for children, who, researchers found, could carry sedentary habits into adulthood. To try and help kids stay on track with physical activity, Fitbit released a new kid-oriented health tracker -- Fitbit Ace. The new smartwatch is ideal for young children -- and families -- as users can set up family accounts where parents can monitor their children’s activity.